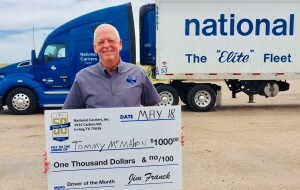 Driver of the Month for May of 2018 at National Carriers, Inc. is company driver, Tommy McMahon. He lives in Jasper, Texas and operates a company truck throughout the lower 48 states. 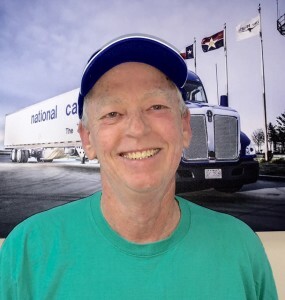 McMahon began working at National Carriers in January of 2010. 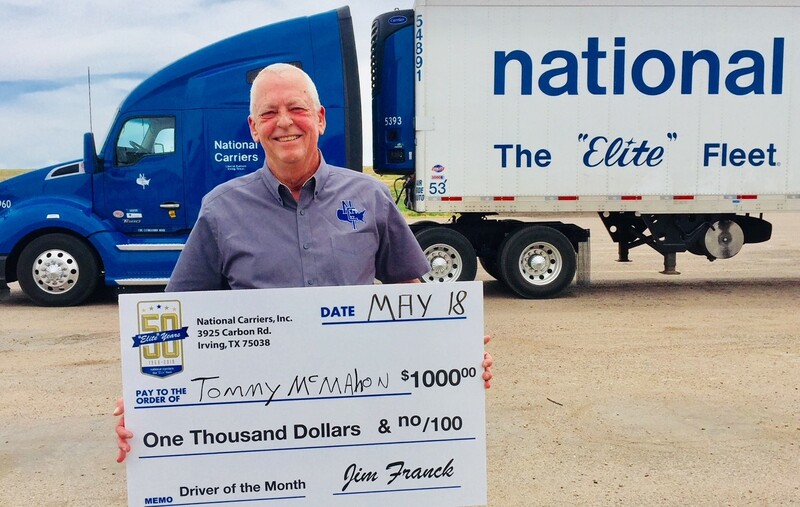 For his accomplishment, he received a bonus of $1000 and is now a finalist for NCI Driver of the Year, which includes a bonus of $10,000. “In December of 2009 the company I had worked for eight years closed their doors, leaving drivers stranded all over the country. NCI called me before I had a chance to look for another job. They were looking for people that were not job hoppers, who wanted stability, and wanted to work. In a matter of days I was in Irving, TX attending orientation. I’ve stayed NCI because of the family atmosphere. I feel like I belong here, I’m not just a driver.” McMahon shared.